The Overview tab is the first report you’ll see when you open up your Position Tracking campaign. Here you can see a summary of your domain’s visibility, estimated traffic, and average position for every keyword you’re tracking. There is also a Rankings Overview at the bottom of the report where you can identify you and your competitor’s positions and manage the keywords in your campaign. Use the anchor links below to jump to a specific section. The first thing you’ll see when you open your Position Tracking project will be the Visibility Trend chart. Visibility % is a metric based on the average position of the domain’s ranking pages. This metric represents the chance that an Internet user who searches all the keywords from your project into Google will end up clicking on that domain’s result for every keyword. For example, if a domain had no rankings in Google’s top 100 results for any of its target keywords, it would have a Visibility % of 0%. If the domain had the first position for every keyword in the campaign, it would have a Visibility % of 100%. In addition to following you and your competitors’ Visibility %, you can alter this graph to show trends in Estimated Traffic and Average Position. Just click on the different headers above the graph and watch the trends change. Estimated Traffic is calculated to show the estimated number of people that will visit the domain. This metric can change on a daily basis but the number is an estimation of daily traffic based on the domain or URL’s current positions. Average Position is the average of all your rankings for the keywords in your campaign. For any keyword where you aren’t ranking, it will be calculated as a ranking of 100. Each of these charts can be a way to measure improvement as a result of your SEO or PPC efforts, as an increase in estimated traffic or a lower average position would both signify moving in a positive direction. This feature lets you custom notes to your campaign tracking. You can save notes about site maintenance, when you started or stopped a new campaign, when you added a new landing page to your site, or on any dates where you added more keywords to your Position Tracking campaign. By saving relevant notes, you can correlate any spikes in visibility, traffic, or position to your activity. Just click “Add” and enter the details and date on the pop-up window. The Advanced Setting in this window lets you add the note to any of your other Projects, to all of your Projects, or to your graphs in Domain Analytics. You can also “view all” to see all of the notes created by you and the automatic notes added by SEMrush in one page. Notes will appear as red diamonds in the trend chart on the Overview report. Turn them on and off with the eye icon above the graph. Competitors can be managed easily in the Overview report. The input fields above the graph allow you to add, change, or remove competitors to your campaign. You can add up to 20 competitors at a time, and their data will appear in the trend graph and Rankings Overview. If you added any competitors during configuration, they will automatically appear as options to add to the input field (see below). To add a unique domain, subdomain, subfolder, or URL as a competitor, simply type into one of the boxes (see below). You can edit your competitor list from the input fields if you scroll past all the domains already added and select “Edit competitor list.” This will re-open the configuration window allowing you to update the competitors in your project (see below). For more ways to manage your competitors in this tool, use the Competitors Discovery report. Below the graph will be the Rankings Overview. This is where you can compare rankings between you and your competitors. You can also manage your keywords from this table. There will be a column for each competitor, and a row for every keyword in the campaign. Position Tracking offers three main metrics to measure progress: Positions, Estimated Traffic, and Visibility. Above the table, you have the option to view one or all of these metrics in the table. Whichever metric you select will appear in a column under each competitor. (The image below is showing Positions for each site). The “…” button lets you look at these metrics for one of your added competitors. Any of these columns can be sorted from highest to lowest to identify each domain’s strengths and weaknesses. Next to each keyword will be the tags you’ve applied in gray boxes and any SERP Features seen on the results page. You can filter this table by keyword, tag, volume, SERP features, and more with the filters above the visibility graph. You are able to customize what data is shown within the table by clicking on the table settings in the top right. The table settings are broken into three categories; columns, additional settings, and row height. Columns let you decide if you want SERP features, CPC or volume displayed within the table. Under additional settings, you can choose to display your SERP feature icons and any tags for your keywords. Finally, you can change the display of the table under row height by choosing either normal view or compact view. You can apply these customizations to all of your Position Tracking campaigns by clicking on the “apply to all projects” button at the bottom. If you want to add more keywords to your campaign, simply open the “Add Keywords” button and type in your desired keywords to track.If you’ve run out of keywords in your budget, you can add more to your account with the “Buy more keywords” green button. Another way you can add new keywords once your campaign is running is by using the keyword sandbox in the settings tab. Here you will be able to add additional keywords without having to rerun a campaign. To delete keywords from your campaign, select the keywords with the checkboxes in the left column and choose “Remove selected keywords” from the checkbox menu. In the Overview and Rankings reports, your keywords will be listed in a table. Next to each keyword is a gray box to add a tag to the keyword. The Tags Manager allows you to add or remove tags from any keywords in your campaign. You can get to the Tags Manager by clicking the Tags filter and then selecting “Manage tags” (see below). After you’ve applied tags to your keywords, you can filter your reports by tag to analyze each keyword group. You can filter your reports to exclude specific tags as well, giving you more ways to analyze your set of keywords. Advanced filters give you more flexibility in the way you follow your progress. One strategy for tagging your keywords is setting up tags based on metrics like CPC and Volume. Start by adding an advanced filter for keywords that have high volume (greater than 1000). Then, highlight all keywords sorted by this filter and apply a tag to label them “high volume." The same process can be used to tag a group of keywords with a specific range of CPC. Smart tags like this allow you to come back to your Position Tracking campaign and find the same group of keywords with a quick tag filter - rather than having to apply advanced filters every time. 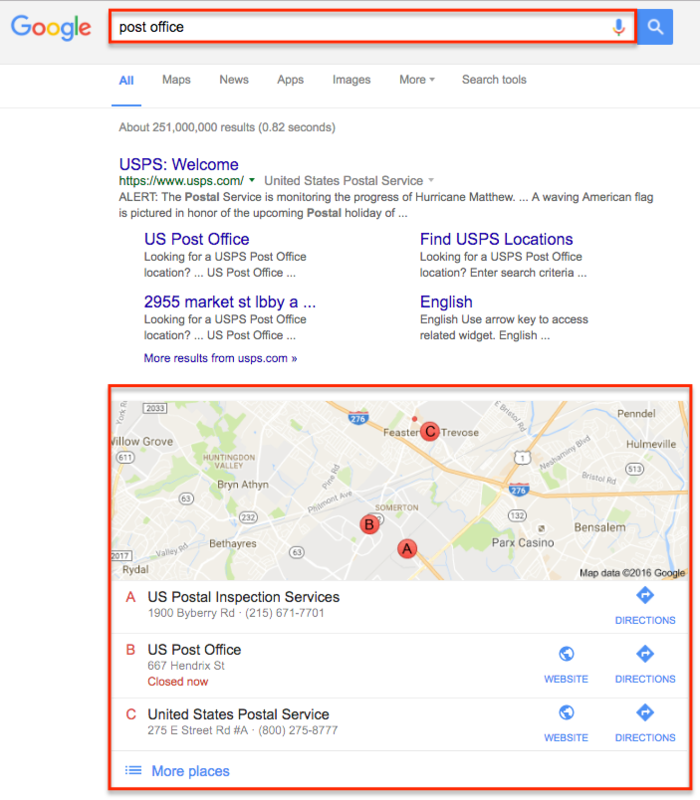 The Local Pack is the group of locally based results that appear at the top of a SERP after entering a location based query (see the example below). To filter your report to see all of the keywords where a local pack appears on the SERP, use the SERP Features Filter. You can select "Local pack" from the menu, and then also choose if you want to see keywords with local packs on the SERP, local packs NOT on the SERP, local packs on the SERP where your website ranks, or local packs on the SERP where your website does NOT rank. Filter according to what you're looking for. This is a great feature for anyone running a Position Tracking campaign for a local website, as local pack results are more important than ever for getting local search traffic to visit your site. In the Rankings Overview table, you’ll see local pack results appear with a small pin-drop icon beside the rank number. In addition to local packs, the SERP Features filter also allows you to identify keywords that trigger Featured snippets, reviews, site links, videos, top stories, instant answers, and more. For more analysis, we also offer a special Featured Snippet report to see your website's opportunities to be displayed in a Featured Snippet. PDF reporting is huge when it comes to keeping your team, client or boss up to date on the progress of your campaigns. PDFs exported from the Overview will only contain the first 100 keywords from the table. So, if you want to export a PDF with all of your rankings, you’ll have to generate the export from the Rankings tab. PDFs of the Rankings and Competitors Discovery reports can also be exported from this tool using the PDF button at the top right of the interface. If you want to generate a report containing a single group of tagged keywords, simply filter the Rankings report to your desired tag and export the report to PDF. The resulting PDF will only contain rankings information for the keywords with that tag. You’ll be given the option to email, schedule, or brand the PDF before exporting. You can brand a report by dragging or uploading a photo into the window and by adding your name and contact information to the header. If you don’t brand your report, it will have the SEMrush logo and information by default. Please note: branded PDF exports are available for Guru and Business subscriptions only. After you’ve exported a report, it will be saved under My Reports, where you can access the PDF and edit/customize the elements of the report before downloading it again.